MALAYSIA could face a potential shortfall in healthcare financing of US$4.1 billion (RM12.46 billion) in 2020, which will require additional fiscal spending or higher out-of-pocket funding by individuals. A study by Swiss Re entitled "Health Protection Gap: Asia-Pacific 2012" revealed that total healthcare costs in the country are projected to rise by 8.8 per cent yearly to US$25.8 billion by 2020, thus creating the gap in healthcare protection. The reinsurer said private insurance plans have strong value propositions to support individuals to better manage their future healthcare financing needs. The health protection gap is defined as the difference between the level of healthcare costs which would be required to meet consumer needs, versus the amount that would be available to cover those costs, if society's total healthcare expenditure remained a constant percentage of the gross domestic product (GDP). According to the study, the health protection gap in the Asia-Pacific region could reach US$197 billion in 2020. The study is the first of its kind, which presents and compares the health protection gap across 13 markets in the Asia-Pacific region including Australia, China, Hong Kong, India, Indonesia, Japan, Malaysia, the Philippines, Singapore, South Korea, Thailand, Taiwan and Vietnam. "This study compares the health protection gap across the region and highlights trends over time. This shows the developing need for more health and medical insurance across Asia-Pacific," said Swiss Re's head of business development asia, David Alexander. According to the study, the biggest health protection gaps by 2020 are in China, India, Japan and South Korea. The breakdown of healthcare expenditure also varies across Asia-Pacific markets. In 2010, more than half of the regional governments had to bear over 40% of the total healthcare expenditure, with Japan covering the highest proportion (83%). The other main funding source was out-of-pocket expenses, which ranged from a low of 14% (Thailand) to 61%(India) of total healthcare expenditure. Private prepaid plans contributed less than 10% of the total healthcare expenditure for all the markets covered in the report, with the exception of Taiwan, which came in at 19%. By 2020, the total healthcare costs in Asia-Pacific are projected to increase to US$2.7 trillion from US$1.2 trillion in 2010. The figure is based on projections of economic growth, medical inflation and population growth in the 13 Asia-Pacific markets covered. However, it expects faster growth in emerging markets, which currently have lower healthcare expenditure as a percentage of GDP. Based on Swiss Re's projections, the average real GDP growth rate from 2014 to 2020 for Asia-Pacific will be about five per cent. Robust economic growth, especially in the emerging Asian countries, will bring additional demand to the health and medical industry. 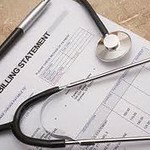 In more than half of the markets covered in the study, it noted that, the growth of medical costs has outpaced inflation. This means that people will need to grow their spending on healthcare or invest at a rate of return higher than inflation in order to cope with rising medical costs, which does not seem possible at such a scale. ""We would suggest the health and medical insurance sector to re-think how to best educate and guide the general public, by working together as an industry to promote greater awareness of the benefits of insurance protection for the public. It will be essential to develop new products to be sold via new and existing distribution channels and to provide efficiency in client and product services, in order to better manage the health protection gap across Asia-Pacific", said Alexander.